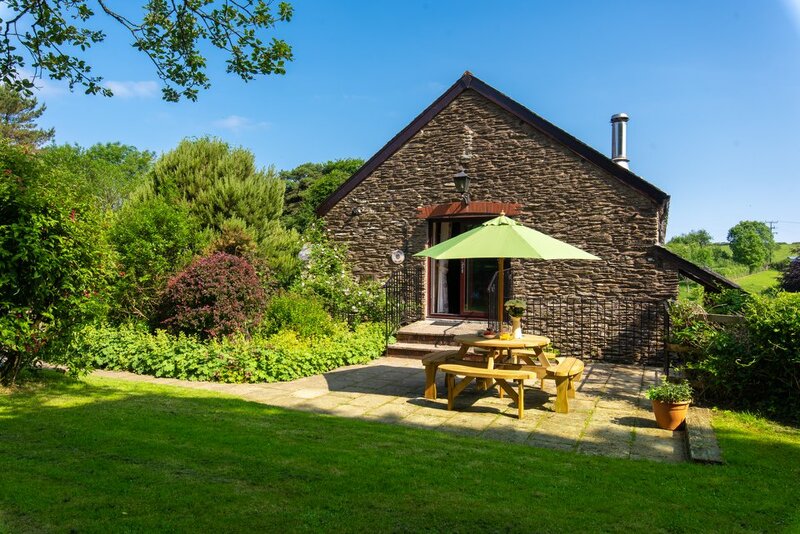 Originally two cottages, The Barn at Wheel Farm has been recently converted and renovated to offer spacious high- quality accommodation for large groups, perhaps holidaying with the whole extended family or a group of friends. 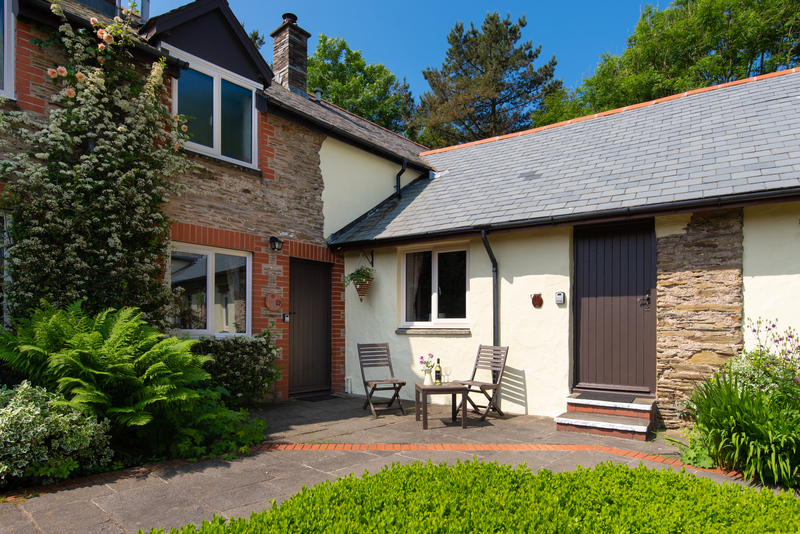 Finished to a very high standard, The Barn comfortably accommodates between 12-14 in six bedrooms. 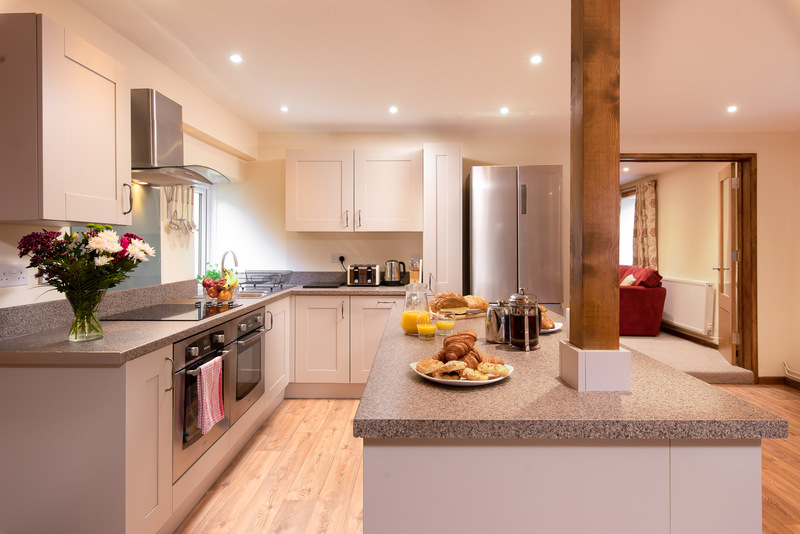 The ground floor boasts a stylish open plan kitchen/dining room that comes complete with two electric ovens, an induction hob, large fridge/freezer, a dishwasher and all you could need for a self-catering holiday. For dining, a large table easily seats up to 14 people, perfect for gathering everyone together at meal times. 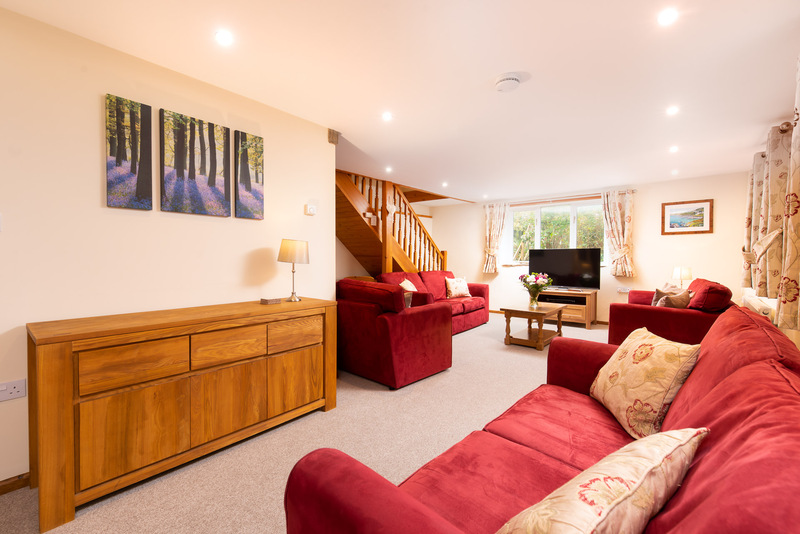 A bright spacious living room enjoys plenty of comfy sofas and a large flat screen TV with Freeview and a DVD player. From the lounge, guests can also access the private garden, where dogs and children can play safely. 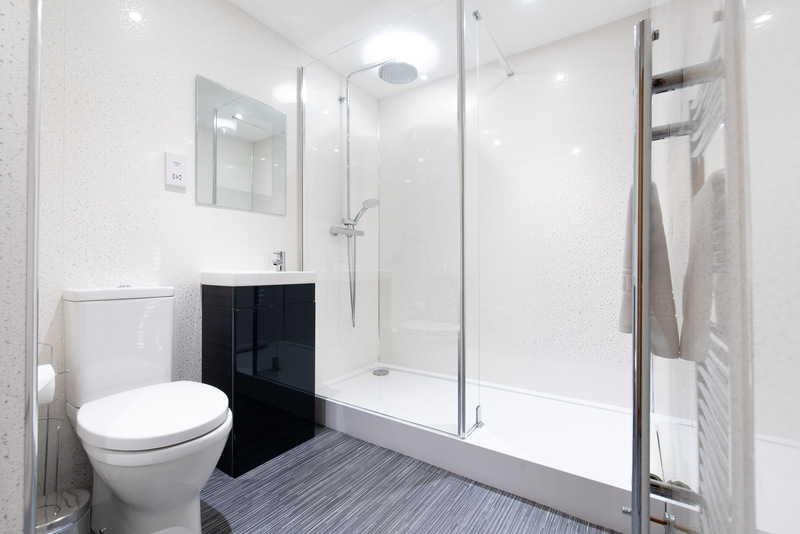 Downstairs, there is also a shower room, with a large walk-in shower, WC and wash basin. 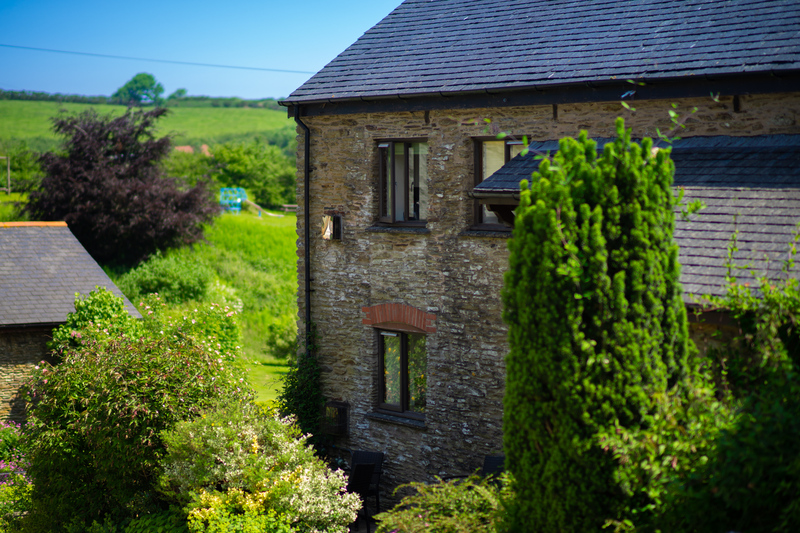 The six bedrooms are all located on the first floor of The Barn and are accessed via two staircases. 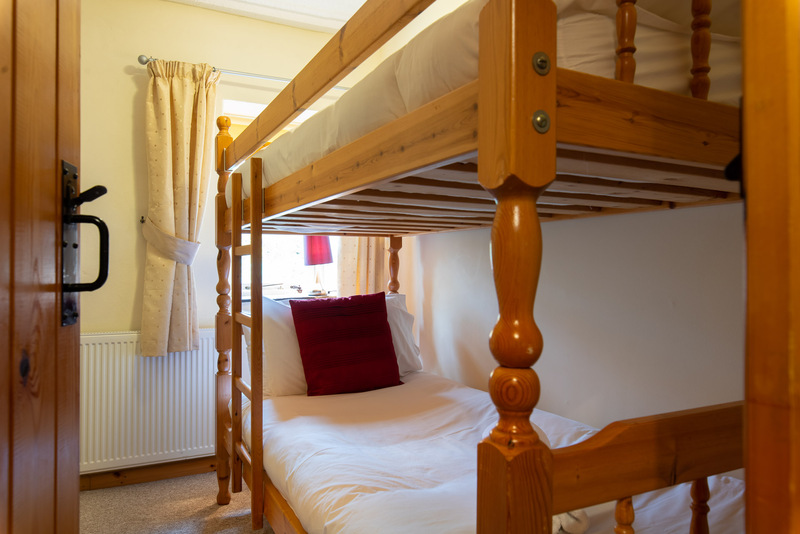 The first three bedrooms, which include a good-sized double bedroom, spacious twin and bunk room serviced by a family bathroom can be accessed via the staircase in the kitchen/diner. The further three bedrooms are reached by the staircase in the living room. 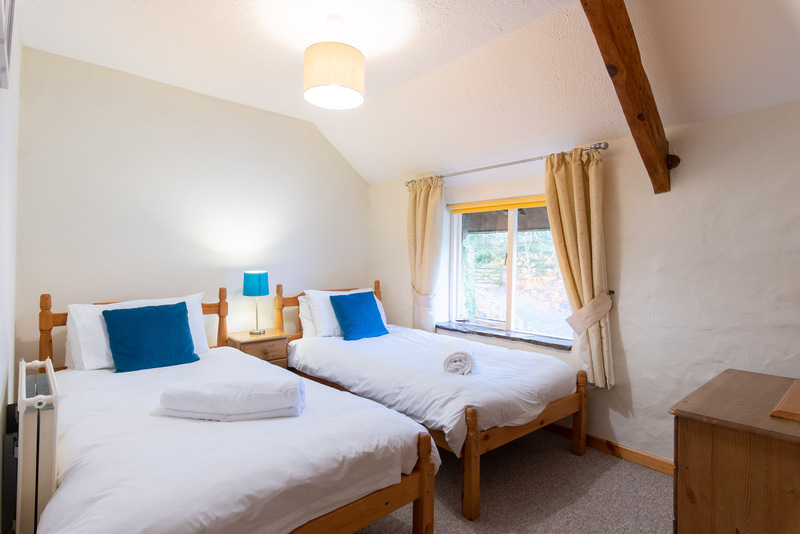 These include a double bedroom with a king-sized bed, a twin bedroom and bunk room. Again, these are all serviced by a family bathroom. 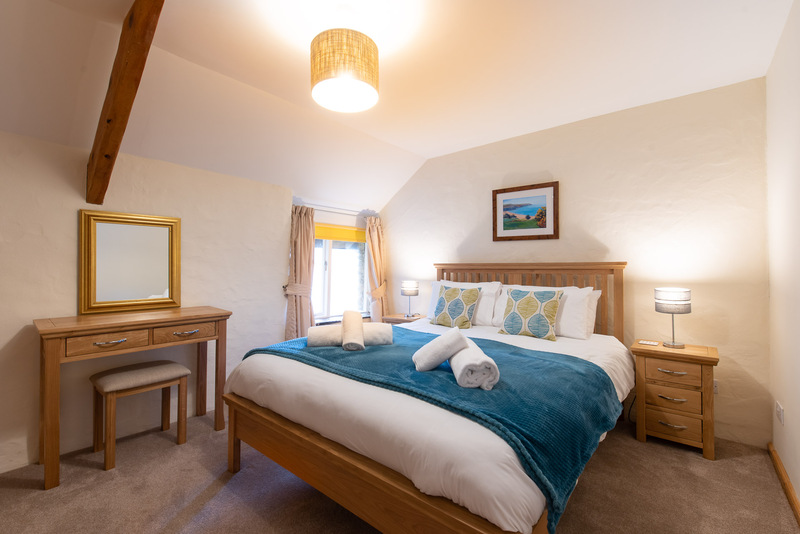 A further two guests can be accommodated at The Barn through the use of a sofa bed in the living room or alternatively two z-beds can be requested (subject to availability). 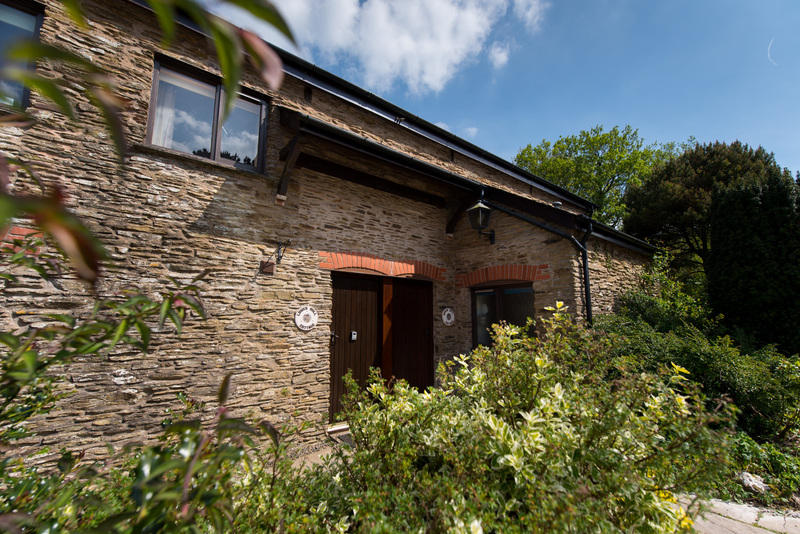 Outside, as well as the use of its own private garden, guests at The Barn are welcome to roam and use the communal grounds at Wheel Farm. There are many acres of gardens and woodland for all to enjoy. There is also a separate dog walking meadow, an outdoor tennis court and children’s play area to use. And for wet weather days, the communal heated indoor swimming pool and sauna are great for keep everyone entertained. Kitchen/Diner area: A large wooden table seating up to 14 guests, sofa, TV and DVD player. 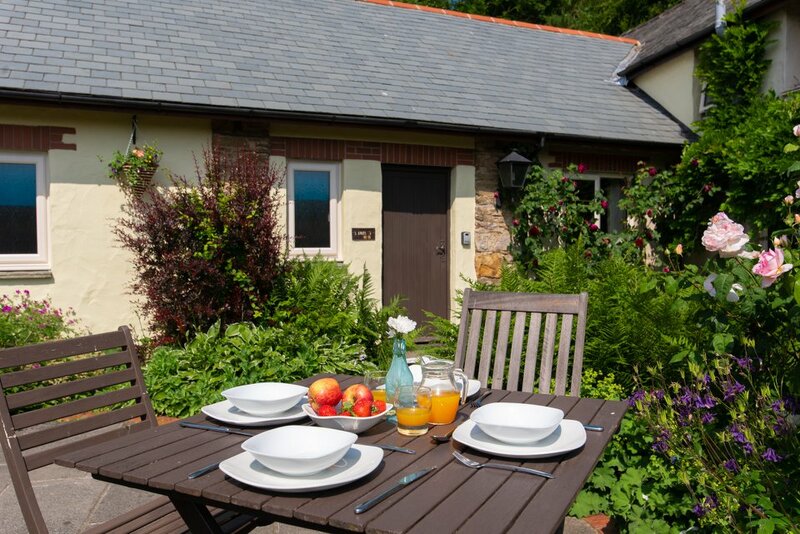 Kitchen includes two electric ovens, induction hob, large fridge/freezer, dishwasher, microwave. 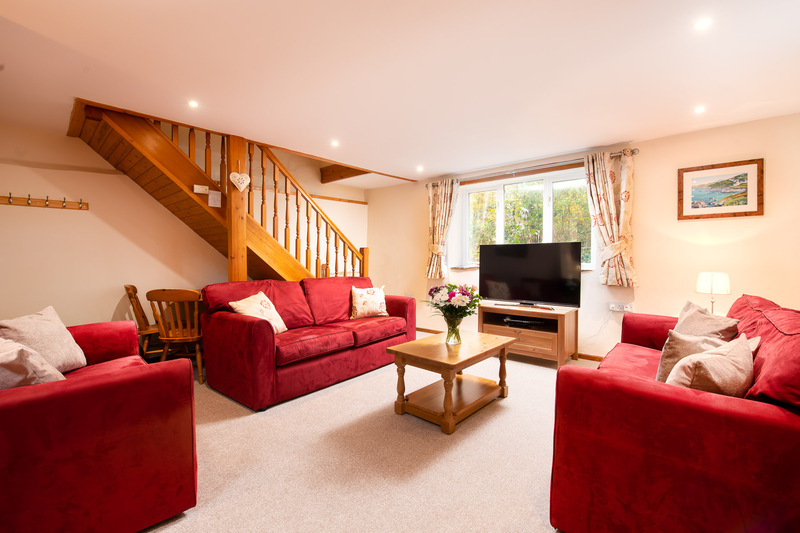 Living room: Large sofas, sofa bed, TV with Freeview, DVD player, access to rear terrace and private garden. 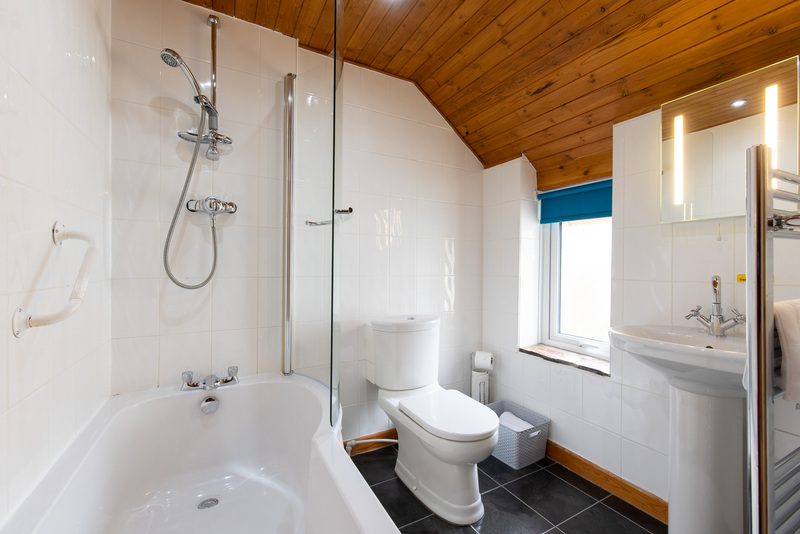 Family bathroom: with large walk-in shower, WC and wash basin. Bedroom 2: Twin bedroom with two full-size single beds and fitted wardrobe. Bedroom 3: Bunk room with full size bunk beds and wardrobe. Family bathroom: Shower over bath, wash basin and WC. Bedroom 4: Double bedroom with king-size bed, fitted wardrobe and dressing table. Bedroom 5: Twin bedroom with two full-size single beds and fitted wardrobe. Bedroom 6: Bunk room with two full-size single beds. 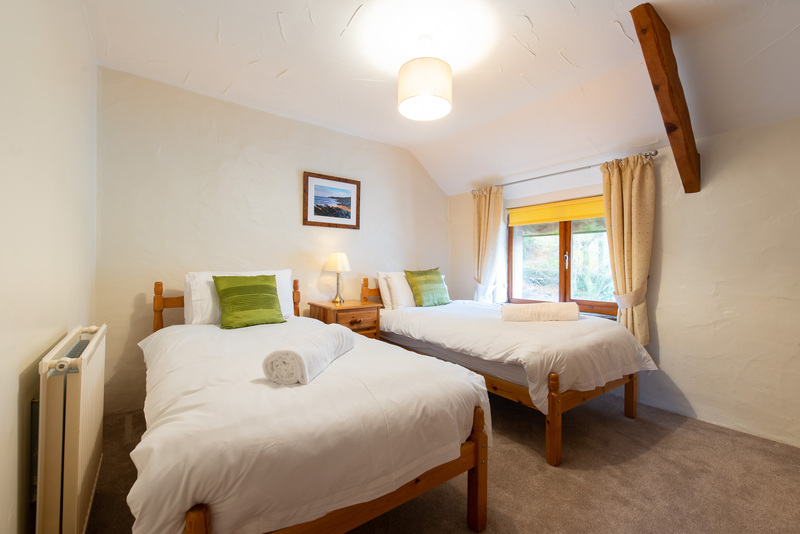 Gas central heating, two electric ovens, induction hob, fridge/freezer, microwave, dishwasher, WiFi, shared laundry room (with washing machine and dryer), bed linen and towels provided (swimming pool and beach towels not supplied), sofa bed, Z-beds available on request, travel cot (please bring your own cot bedding), high chair, stair gates, short breaks available, 2.2 miles from the coast, 1.5 miles from the nearest pub, private garden, ample off road car parking, no smoking, weekly changeover day is Friday, pets welcome, baby friendly, supermarket delivery, BBQ. 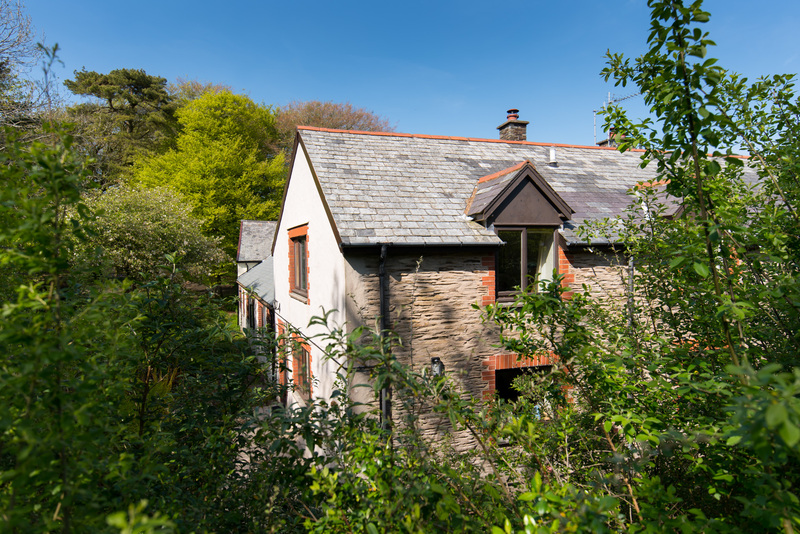 Communal on-site facilities include indoor heated swimming pool, sauna, tennis court, outdoor children’s play area and dog walking meadow. 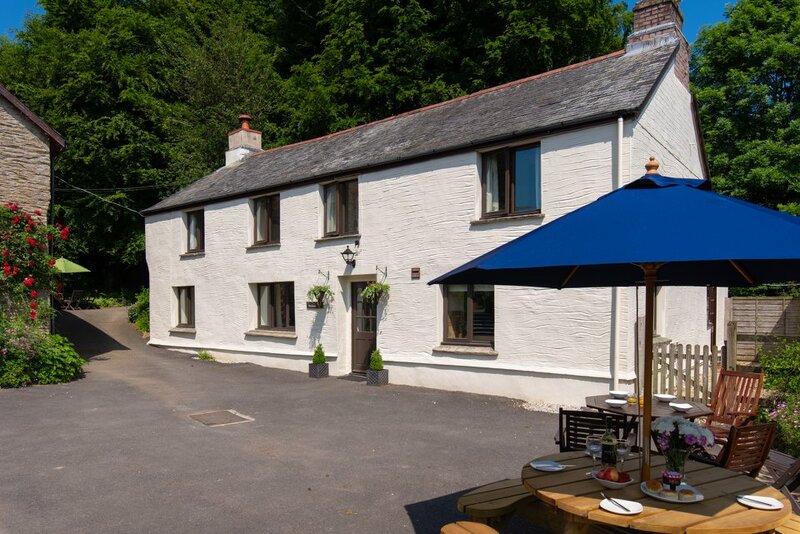 Just 10 minutes away from the cottages, the village of Combe Martin is home to plenty of good family and dog friendly pubs and restaurants, as well as a pretty harbour beach that offers a lovely spot for the children to explore the rock pools. 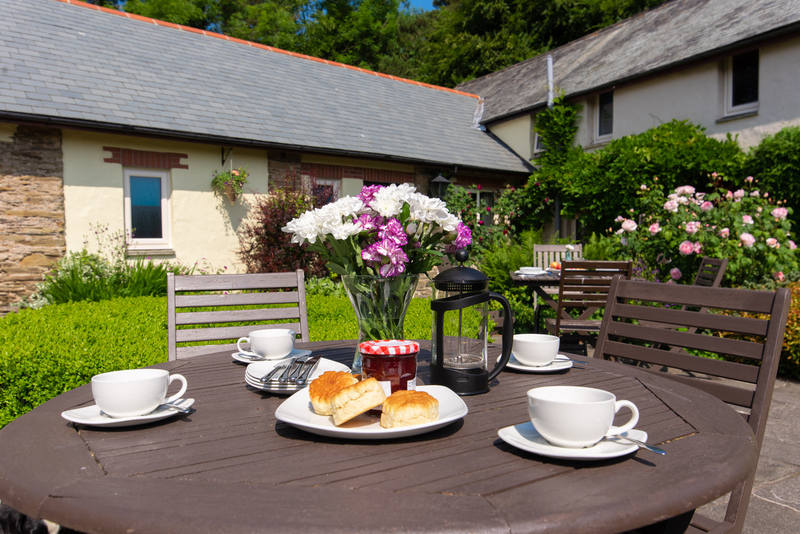 For days out for the kids, The Combe Martin Wildlife and Dinosaur Park is found just outside the village, whereas Watermouth Castle and Exmoor Zoo also popular attractions are just a short drive away. The excellent North Devon beaches and surf at Woolacombe, Croyde and Saunton are within easy reach for fabulous days at the beach. For walkers, discover The Hangman Hills, where Exmoor meets the sea, a challenging walk but the views won’t disappoint. 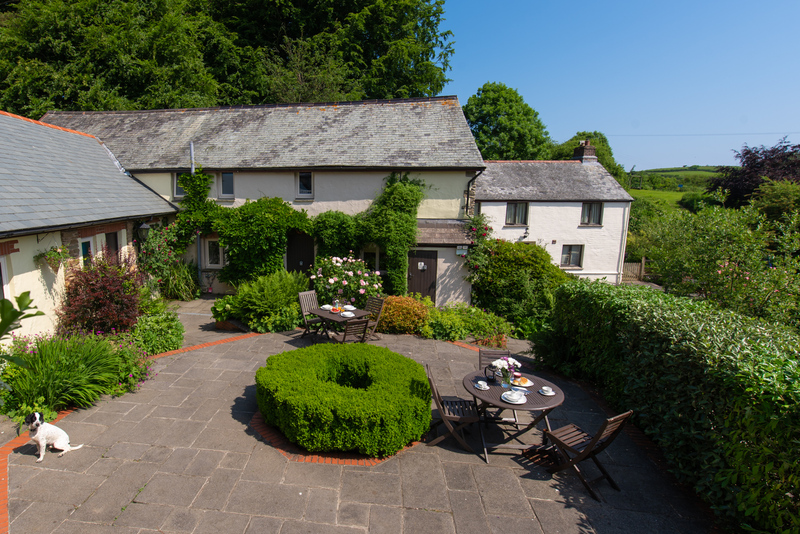 Or for secluded walks, explore the nearby wilds of Exmoor, just a 20-minute drive away, where you can often walk for miles and not see a ‘soul’.